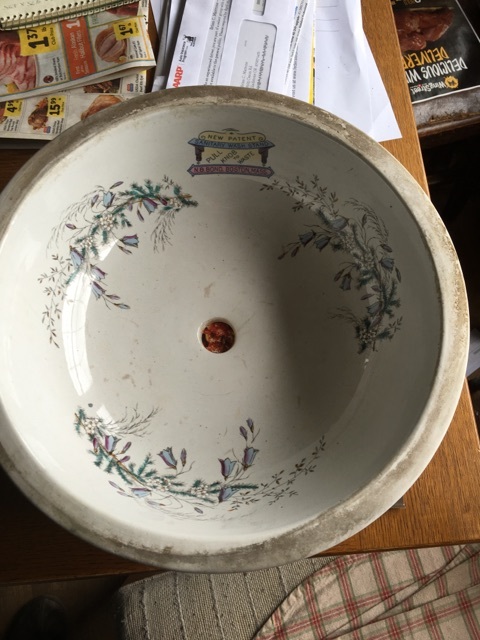 Plumbing Geek Blog: Victorian Railway Car Basin. The project I want to write about today though it is a bit more extreme. A while ago I was contacted by a local man who had purchased a very old and unusual fixture. 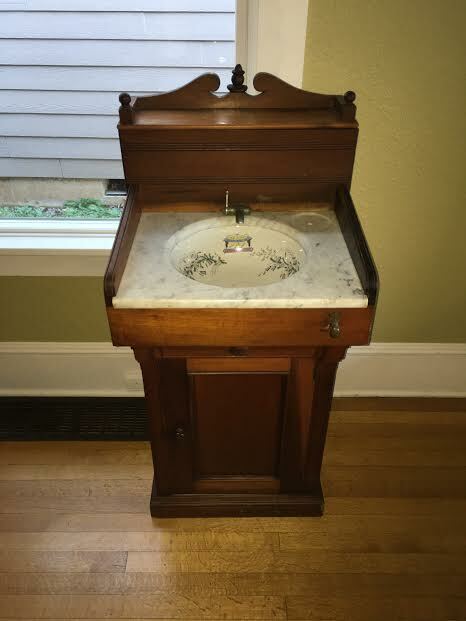 He had acquired it at Aurora Mills, an architectural salvage house in nearby Aurora Oregon. They had referred me to answer his questions about getting it installed. He contacted me and upon my request, sent me some photos. Open tank water source in back splash holds water at room temperature with gravity flow. 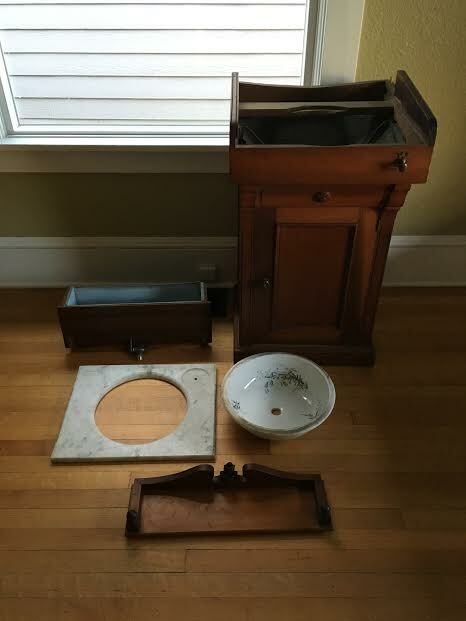 Basin has no drain fitting, just an open hole.Note the tank with affixed spigot middle left. 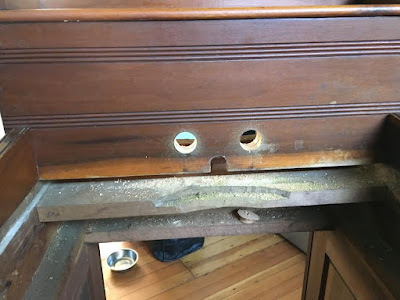 Pull knob at bottom right rolls wooden ball into drain hole to hold water. When ball is rolled away, drain water drops into tin funnel and from there into a vessel that is later emptied by a porter. New holes in back splash to accommodate new hot and cold water taps. 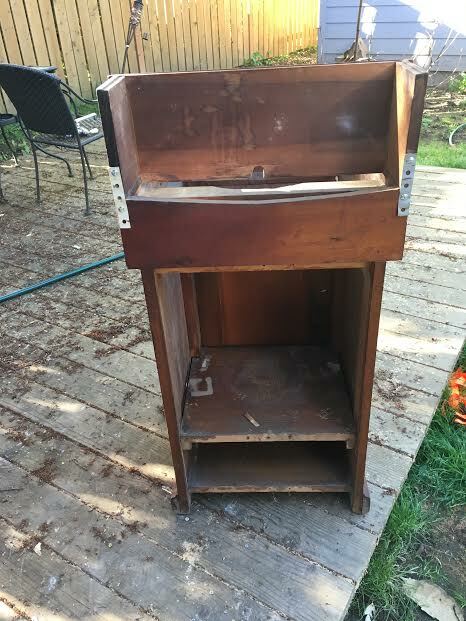 Rear view, tin tank not in place.The photos above were sent to me. Only the basin itself was brought to my shop. 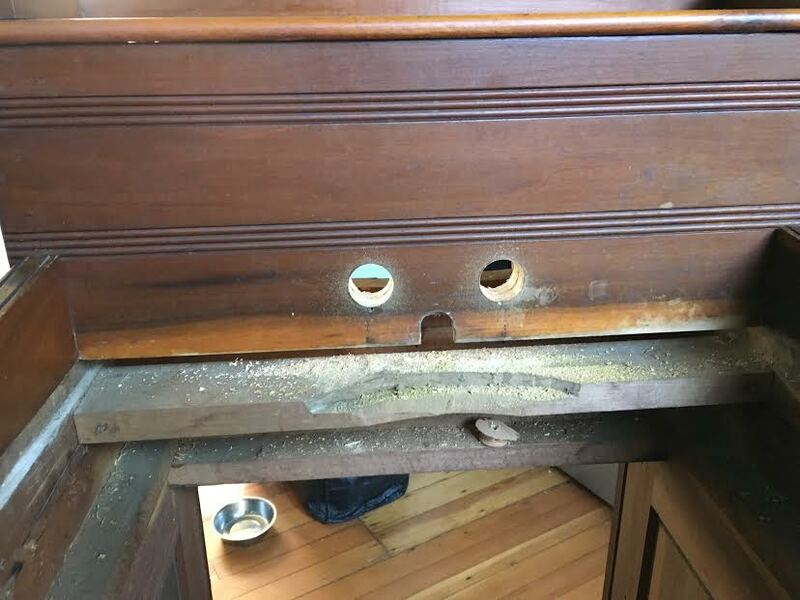 It fits to the bottom of the marble countertop with wooden stays. 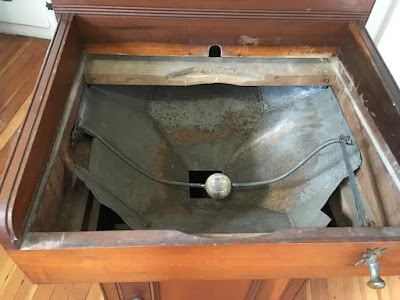 I was asked to install a drain fitting into the open drain port of the basin so that it could be connected to the drainage system of the house. The only problem is that the drain opening is smaller than what a modern drain can address. 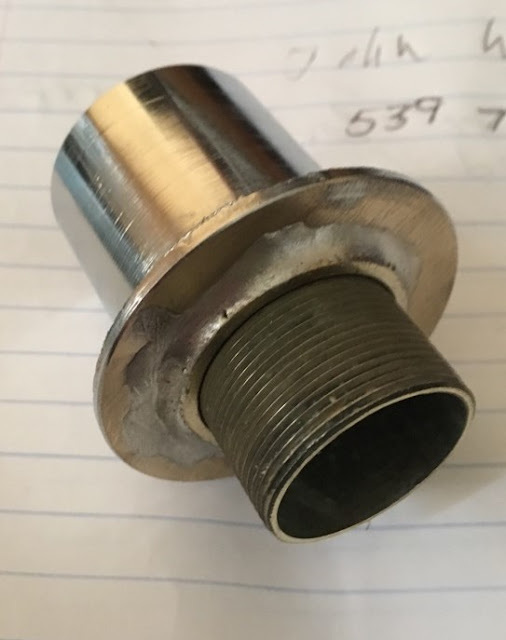 I would have to make my own drain assembly. 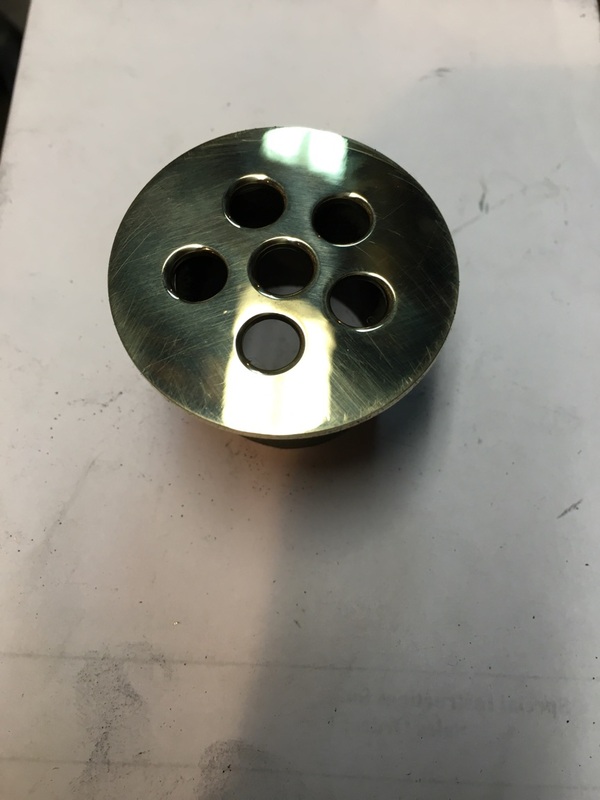 Here is the cast brass lower portion of a regular 1-1/4" vessel drain assembly, I started with that. 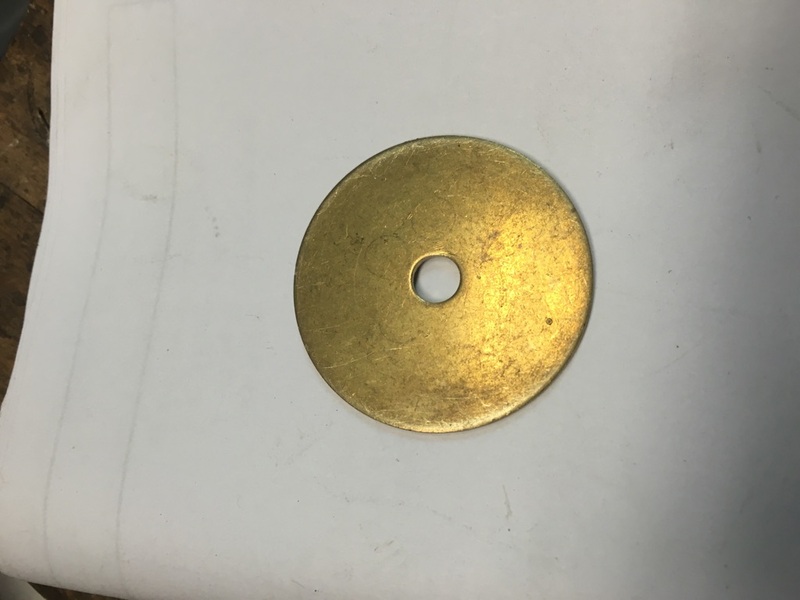 I have cut a section of vintage 1" threaded tubing that had a lock nut on it and soldered the lock nut to the modern brass flange. 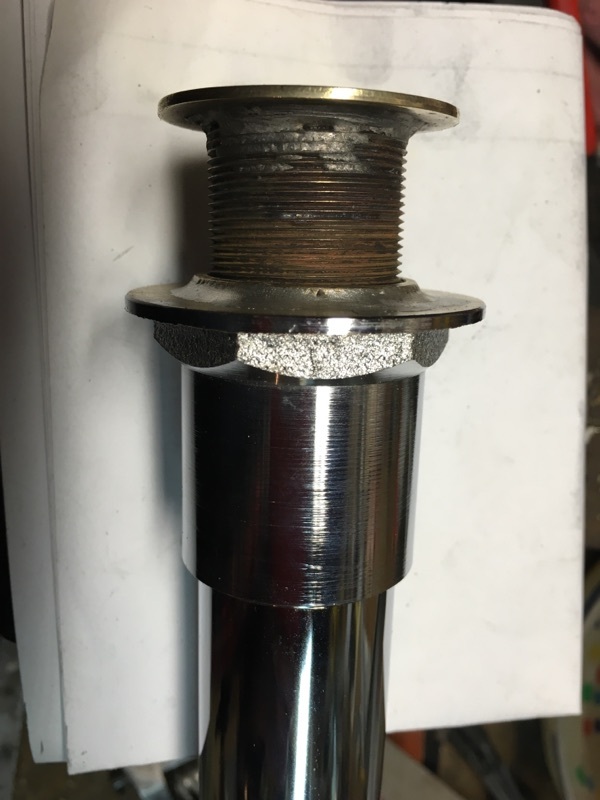 I had to lathe cut the internal thread of the flange to allow the nut to penetrate it evenly. The threaded tubing is a close fit into the open drain hole of the basin. Then I needed a grid strainer to joint to the 1" threaded tubing. I decided that this large brass washer would work. 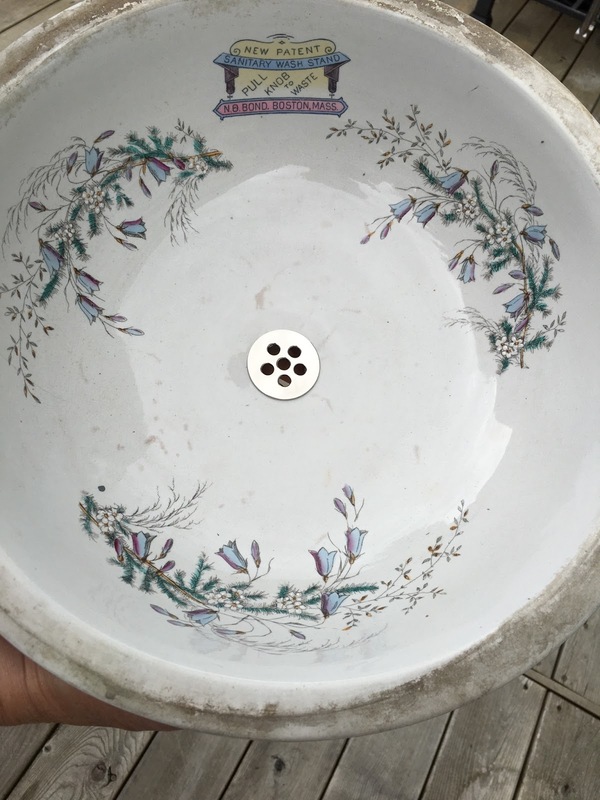 Searching for a motif to follow the client and I decided that the little five petal flowers painted onto the basin would be appropriate. 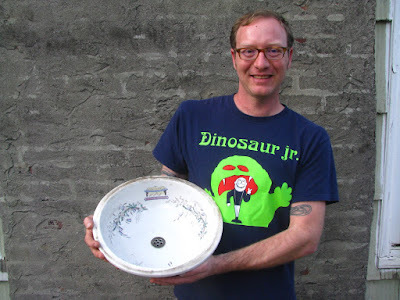 I knew that the result would match a common strainer pattern circa 1910. 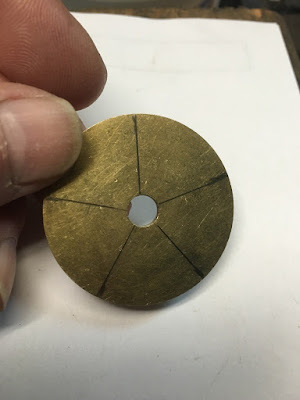 The brass washer gave me a free center hole, I would need five evenly spaced holes around it. Once I had the penciled on rays, evenly spaced, I added two circles. The outside circle represents the ID of my 1" tubing. 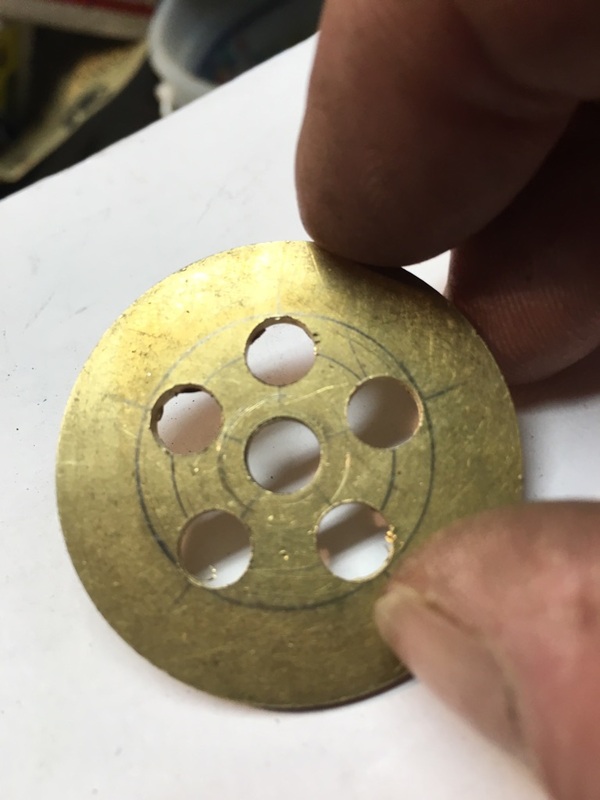 The inner circle is the center of my holes and I drilled 1/8" holes where the rays and the inner circle intersected. I walked the holes to match the 5/16" size of the original center hole by degrees, using larger bits in turns. I then soldered the new strainer onto the 1" tubing. I had prepared the tubing for this by cleaning the edge on the lathe. Five minutes on the buffing wheel smoothed the inner edges of the drilled holes. Then it went to the plater for a coating of polished nickel. The new drain assembly, ready to install. I used a closed cell foam gasket that I cut to fit. that material would seal my drain connection without adding undue force to the vintage china surface. Rising to the challenge of such a unique request makes the job very special.